Ahsan Khan is the popular and multi talented actor of Pakistan and he started his acting career, when he appeared in the movie, ‘Nikah’ in 1989. He played the role in the drama serial, ‘Hans Ki Chaal’ on PTV channel. After that he performed the role in the movie, ‘Ghar Kab Aao Gay’ and he performed his role in the movie, ‘Chupan Chupai’ with Neelum Munir in 2017. Sonya Hussyn is the leading and popular Pakistani actress and model. She was born in Karachi and she started her showbiz career in 2011. When she performed in different drama serials on ARY Digital and Hum TV, she got tremendous popularity. She has started her acting on the small screen in 2011, when she performed her role in the tv serial, ‘Dareecha’ on ARY Digital. She is the talented model and she worked with various fashion designers of Pakistan. Ahsan Khan & Sonya Hussyn Bridal Couture Week 2018. 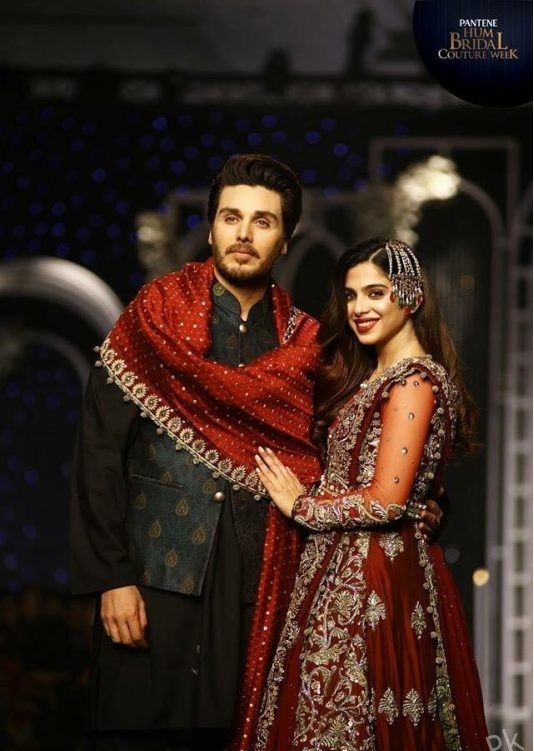 The bridal couture week is managed in Lahore tonight and there are many celebrities, who walked on the ramp during the bridal couture week 2018. 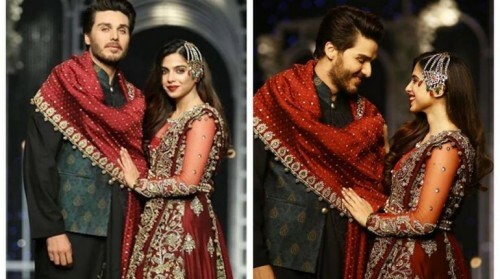 On the screen, Ahsan Khan and Sonya Hussyn paired up and they walked on the ramp at the bridal couture week 2018. 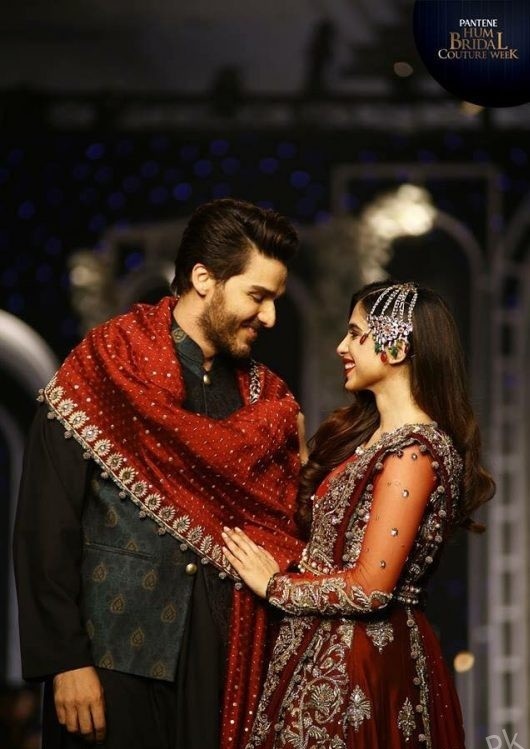 They are looking wonderful and they have the beautiful clicks, in which Ahsan Khan and Sonya Hussyn are looking attractive and elegant and they walked on the ramp at the bridal couture week 2018.